The Zero DSR is the flagship “do everything” machine from the Silicon Valley-based electronic motorcyclemanufacturer. 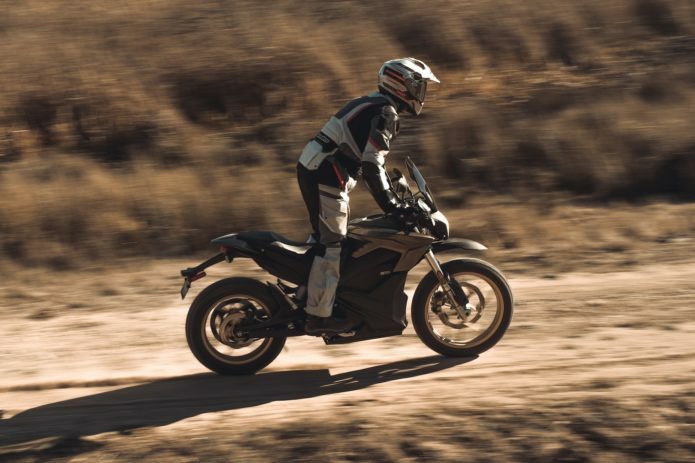 With a mission statement of tackling your daily commute, trails, and everything in-between, the 2019 Zero DSR is the most powerful model in its lineup, as well as boasting the farthest effective range. For 2019, the Zero added several components aimed at accentuating the DSR’s off-road chops. Also, the new electric dual-sport motorcycle features firmware updates and other tweaks to improve battery life.